I’m dumb; the Internet has ruined my ability to think critically and solve puzzles. 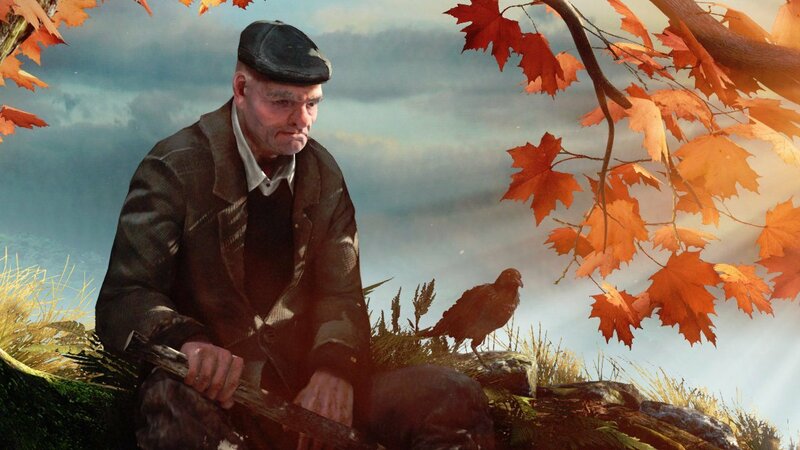 This is basically how I felt while playing The Vanishing of Ethan Carter. The sad part is, 12-year-old me would have cruised through this game I beat Riven “almost” entirely on my own, and that game had some ridiculous and incredibly difficult puzzles. I tried playing its predecessor Myst recently, and gave up just after half an hour. Well before YouTube walkthroughs, gaming forums, and a simple Google search, people were often forced to keep a little notepad to jot down notes, symbols, and random bits of information in order to, you know, actually use their brain to figure out what to do and where to go next. So congratulations to The Astronauts studio, you’ve made me use my brain again—and it was a humbling experience. 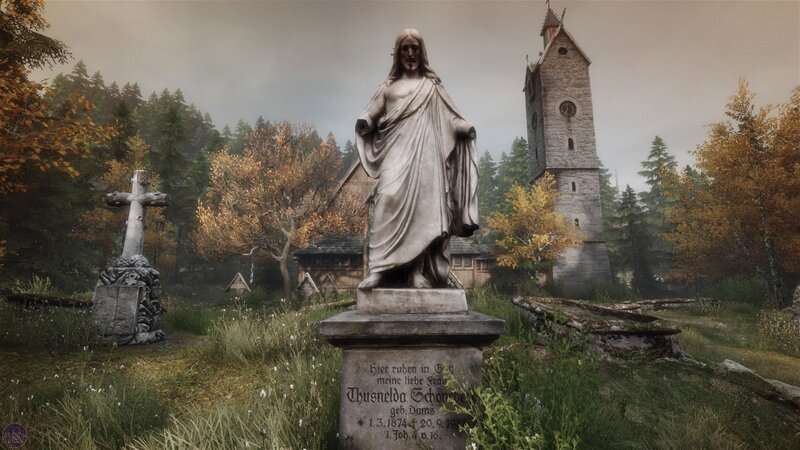 In The Vanishing of Ethan Carter, you play as Prospero, a detective who specializes in the paranormal who has been tasked with unraveling the mystery behind the titular character’s enigmatic departure from reality. You begin the game by emerging onto some abandoned railroad tracks, and from there you can go wherever you like in whatever order you prefer. This freedom is lovely at first, when you’re just walking around exploring things, but if you’re used to even remotely linear gameplay, you may find it frustrating to constantly trek back and forth searching for a clue you missed. The eeriness of the world in Ethan Carter will occasionally fall to the wayside when tunnel vision takes over during a puzzle. On the other hand, this freedom is important, because you’ll definitely want to spend some time just soaking up the atmosphere. Despite the often-downgraded ports we’re used to receiving here in the console ghetto, Ethan Carter retains its absolutely stunning visuals. From the bucolic (yet still unsettling) forest to the dungeon crawler-esque mines, the game touts sharp visuals and stunning lighting. Framerate is never really an issue with this game as there aren’t multiple characters, combat, or particle effects to eat up memory and slow everything down. Ethan Carter takes a deliberately slow pace, for obvious reasons, and thus never has the chance to get clogged up and slow right down. As far as sound goes there’s nothing to complain about; the music won’t blow your mind, but does a decent job of increasing and decreasing tension and emotion as needed. The game’s sound design really shines with the little things: creaking wood, rustling leaves, the soft thump of footsteps in an abandoned building. What’s important though, for a game that’s based entirely on the unraveling of a story, is the voice acting. Most of the game’s story is told through flashbacks as Prospero solves puzzles and puts the pieces together, and despite never actually interacting with anyone, you get a feel for the characters and the events that went down in this small Wisconsin town. For most people with half a brain and a bit of patience, or several other major qualities I lack, the game can be finished at a comfortable pace in 4-6 hours. If you’re like me, it might take a bit longer, especially if you’re one of those types that prefer to take their time and absorb the atmosphere. I’ve heard complaints that a $20 price tag might be too high for a game this short, and there’s pretty much zero replay value, but the production is super tight and the visuals are impressive enough to let that slide. If you like atmospheric puzzle games, there’s no reason you shouldn’t pick this up if you missed out on the PC release last year. 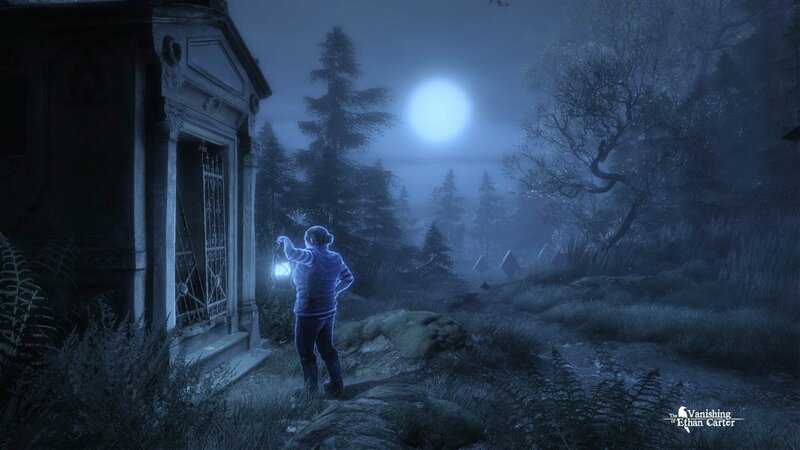 In The Vanishing of Ethan Carter, you play as Prospero, a detective who specializes in the paranormal who has been tasked with unraveling the mystery behind the titular character’s enigmatic departure from reality.